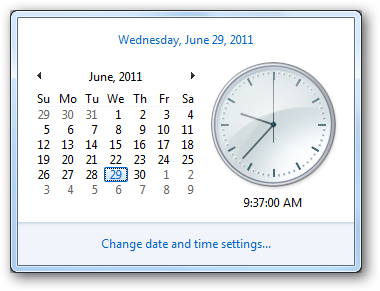 Windows 7 has a built in clock that most users are familiar with. It allows them to see the date, the current time and it can be easily changed as and when needed. Unlike the previous Windows versions where you could have only one clock, you can add up to two additional clocks in the Windows 7 taskbar if you desire. This can come in handy for a handful of reasons. 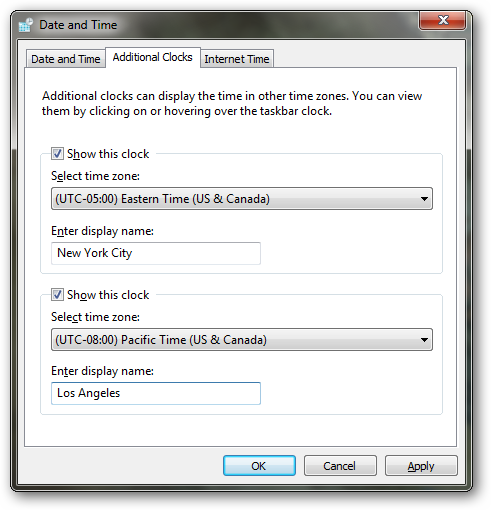 For example, if you travel a lot through different time zones in the US for work, it would be beneficial to have multiple clocks running in your task bar to remind you what time it is where you will be going or if you work with people from different part of the world or different time zones, the additional clocks can be more than helpful. In order to add your first additional clock, you want to click on the time in the lower right hand corner of your screen. This will open up the clock and allow you access to its settings. Click on “Change date and time settings…” to open them. If you want to change the settings of your primary clock that displays at all times on your taskbar, this is where you will do that. Depending on how you want your additional clocks set up, you may have to change that clock first before proceeding. You want to click on the “Additional Clocks” tab at the top of the window. This is where you can add up to two additional clocks. For the first clock, you want to click “Show this clock.” You can then edit the settings for it. You want to select the time zone followed by what you want to name your new clock. Click “Apply” to save your settings. If you wish to set up a second clock, you can do so by checking the second “Show this clock” box. 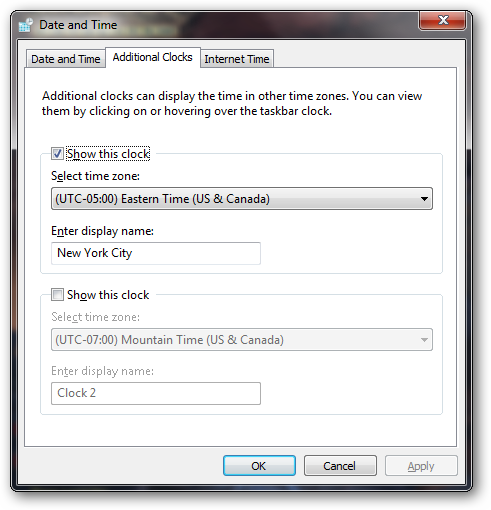 Then fill in the same settings as above for the next time zone. 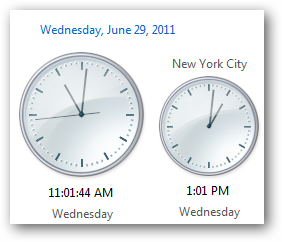 Click “Apply” once again and you have set up two additional clocks in Windows 7. When you right-click on the time in the task bar, all three clocks will be displayed. Your primary clock will be larger than the other two for you to differentiate between them. 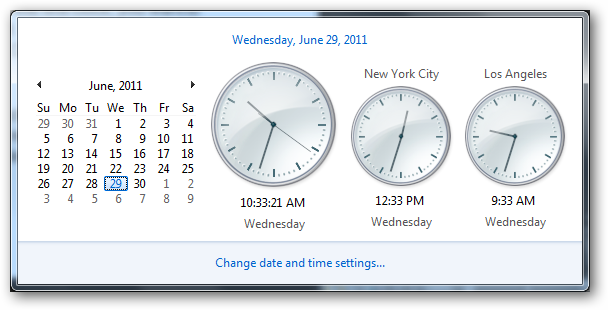 Are there other ways to change the clocks in Windows 7? If adding additional clocks seems clunky to you, you can always add clocks through the various widgets that attach to the desktop. Widgets can be installed in a sidebar on your desktop or anywhere you choose to anchor it. Clock widgets can be useful depending on the set-up of your desktop and if you want to avoid overcrowding the clock and calendar function on the taskbar. There are many ways to add additional clocks to Windows 7 but the built-in feature is the easiest to set up and begin using.